Join Thousands of developers around the world as we watch the annual Google I/O live from San Francisco and discuss what this means for the local community. From Keynote speeches to Codelabs, join us as we discuss the Opportunities the Google Technologies and Platform has to offer for the local community. Are you organizing Google I/O 2019 Extended Kampala Viewing Party? 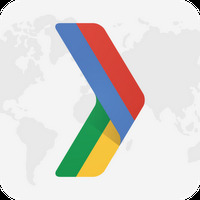 Are you an organizer of Google I/O 2019 Extended Kampala Viewing Party ?